Beginners and experienced polymer clay users will enjoy this class. 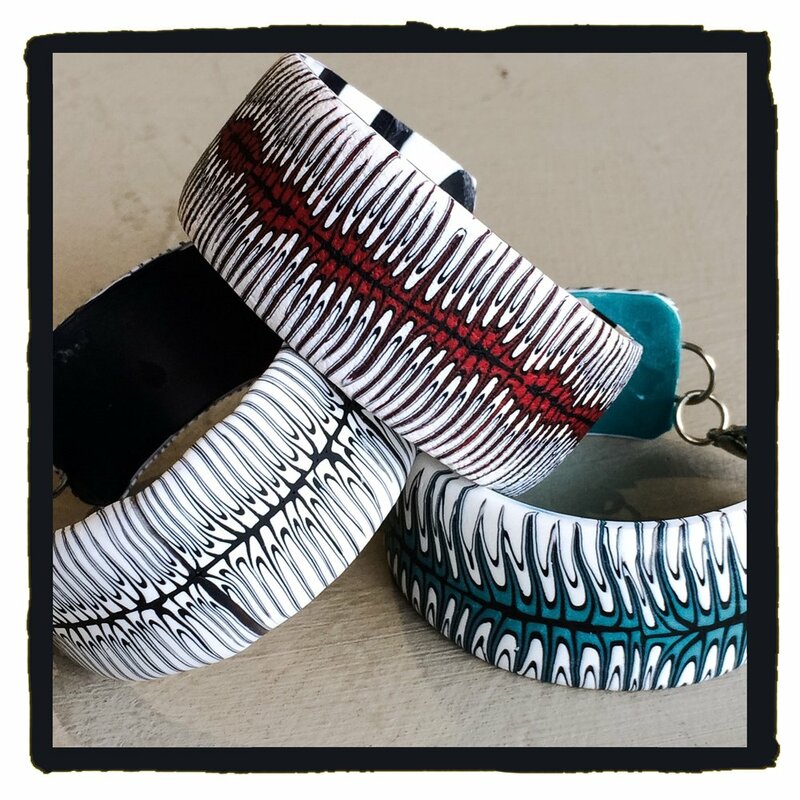 After learning how to make a “Jungle Vibe” polymer clay cane, slices from that cane are then formed into a bracelet shape and cured. With the addition of hardware you will get a perfect fit for your wrist size. You can choose black and white only or add a splash of your favorite color. Both a finished textured surface and a smooth shiny surface will be taught as well.